How do I add a second or additional Amazon account, sales channel, or marketplace to SellerZen? Using SellerZen, you can add as many sales channels as you want. 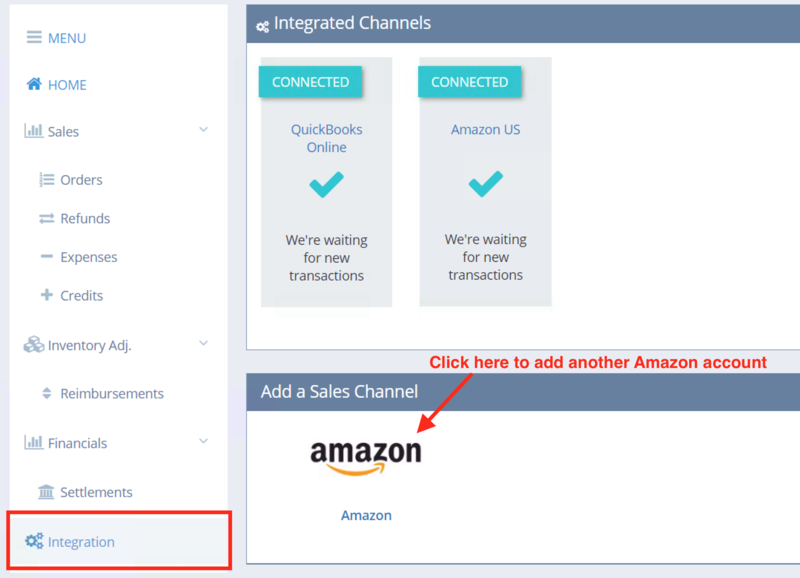 Click on Integration and then click on the Amazon tile under "Add a Sales Channel." You can add as many Amazon marketplaces as you want. If you need to EDIT the settings for the channel, then click on the marketplace tile you want to configure under "Integrated Channels."